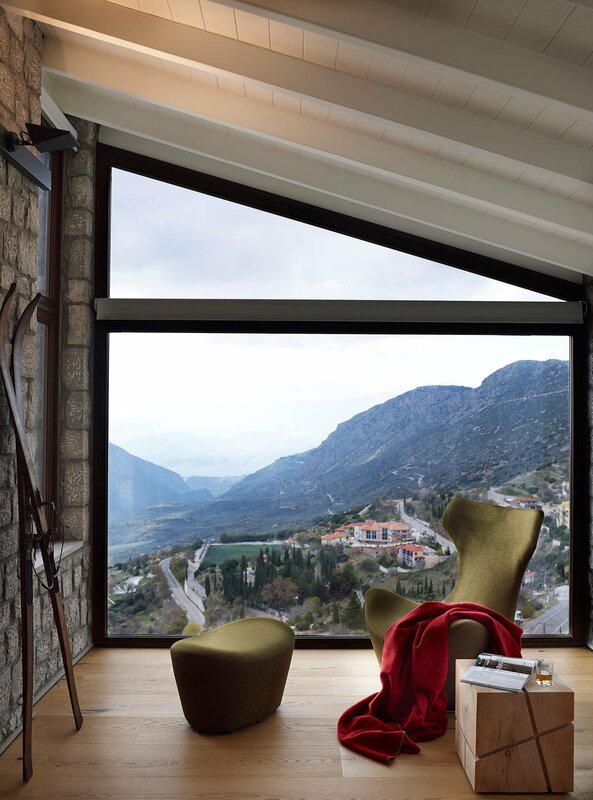 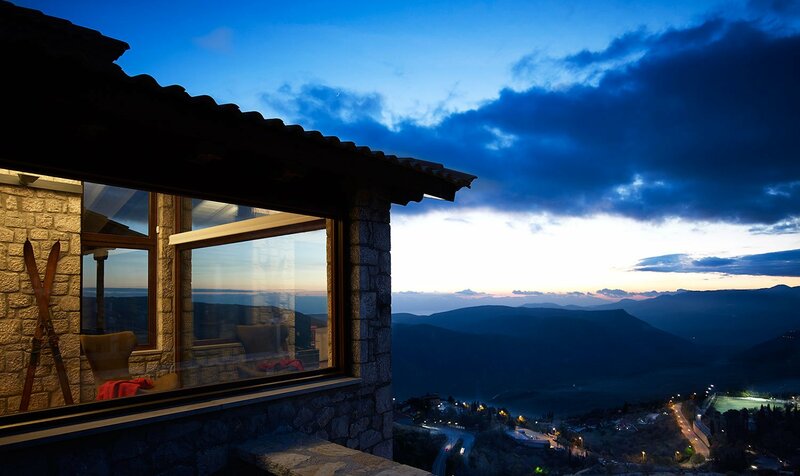 This chalet, peacefully located on a slope of Mount Parnassus, overlooks the village of Arachova and the magnificent valley of Delphi. 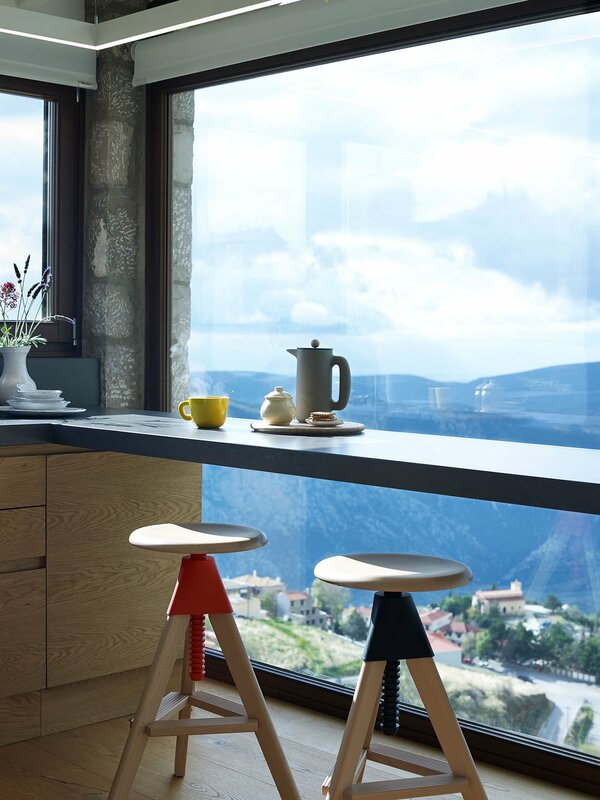 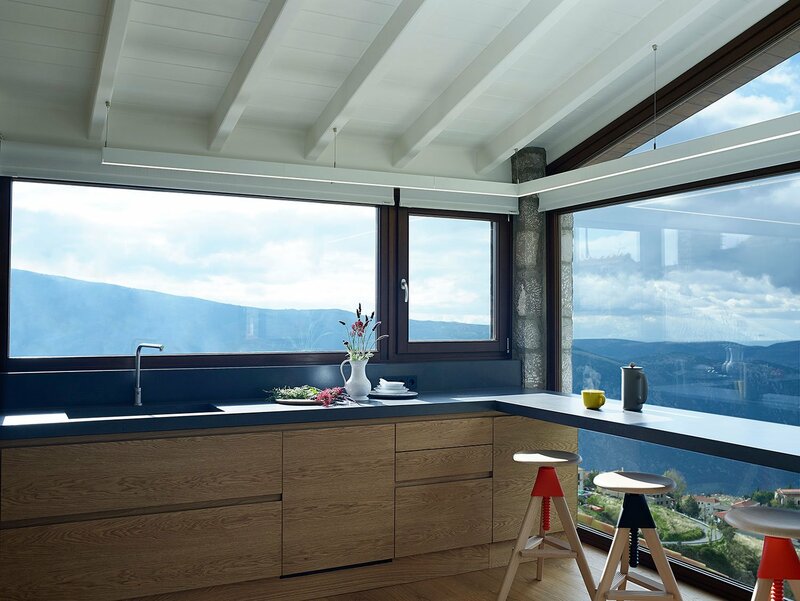 Alexandros Tsikordanos, head designer and owner of 360 conceptdesignstudio in Athens, carefully rearranged the glazing of the old facade in order to expand the panoramic views throughout the renovated space. 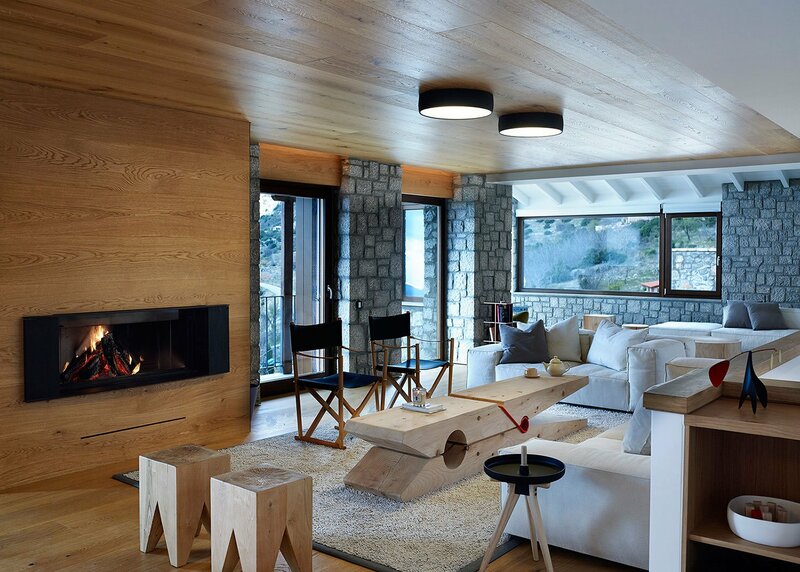 The surrounding landscape that pours now into the chalet functioned as the main inspiration for the selection of the interior materials such as stone and wood in natural textures and colours. 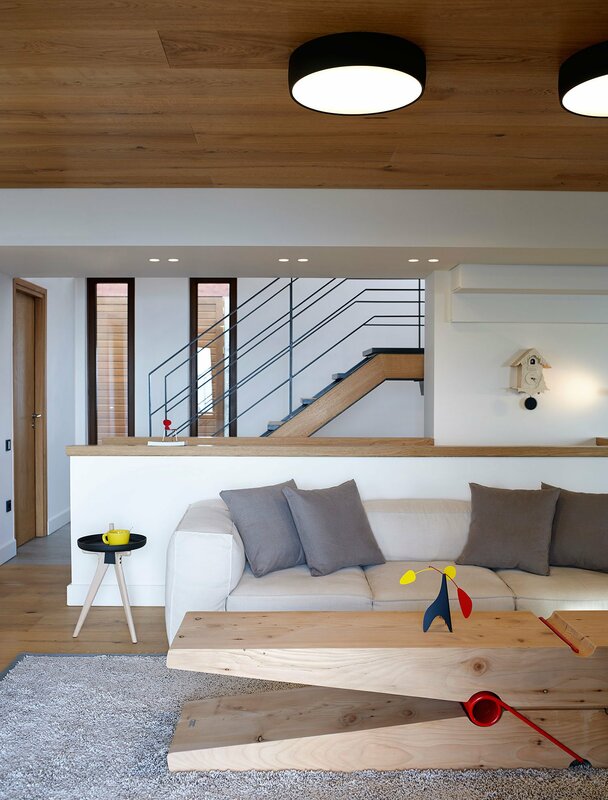 This interior design process was followed in order to extend and reinforce the typical architectural approach of integrating a building into a rural landscape. 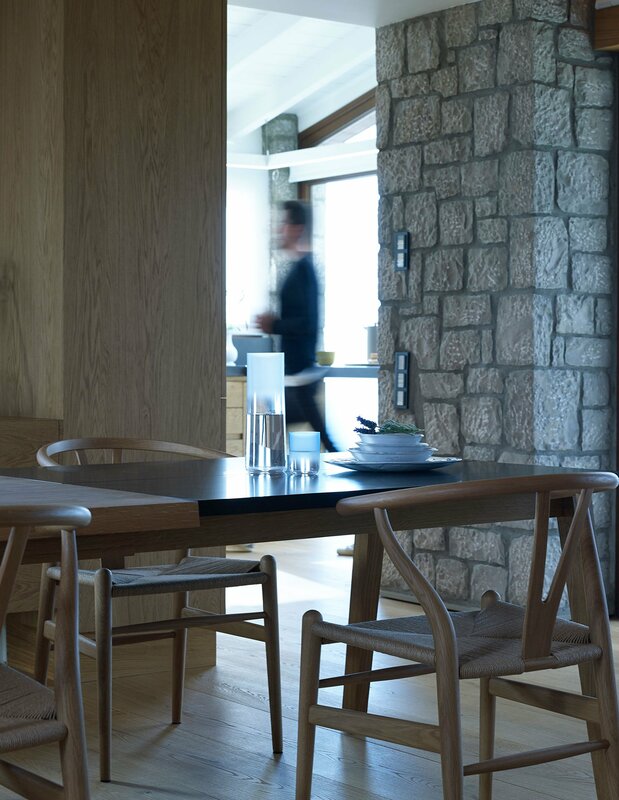 The studio’s distinctive design philosophy is evident throughout the new formation: minimalism that enhances geometrical forms, functionality that meets the client’s needs and very subtle decorative interventions that respond to human scale and perception. 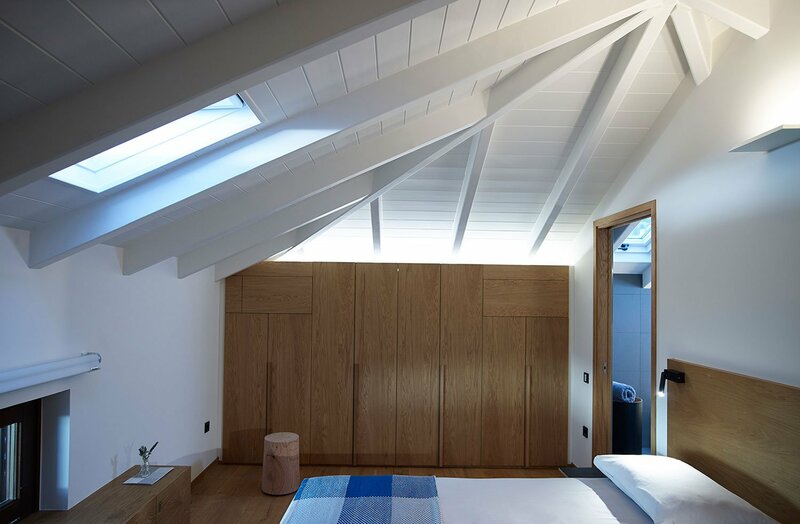 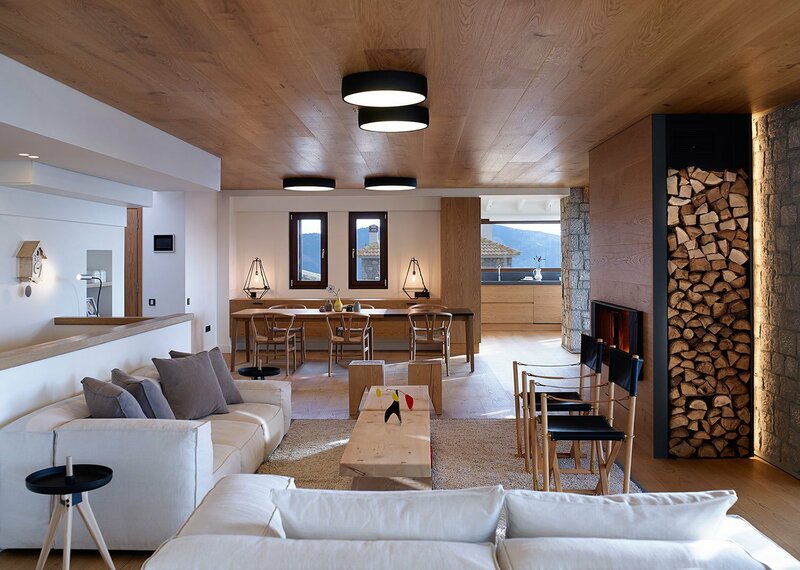 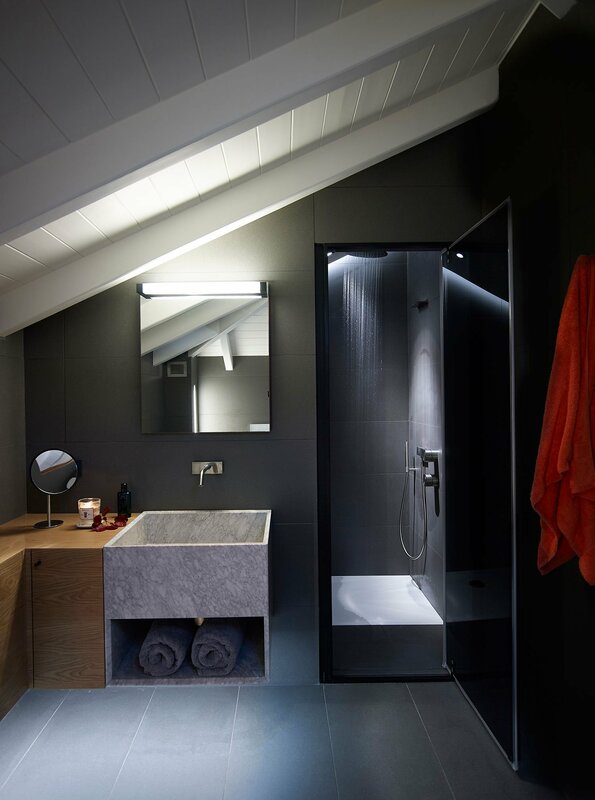 The visual environment of the chalet is complemented though the creative collaboration with architectural lighting designer Athanassios Danilof.